Tweet contains a hidden message. Can you figure it out? Square Enix made a cryptic announcement today via Twitter. 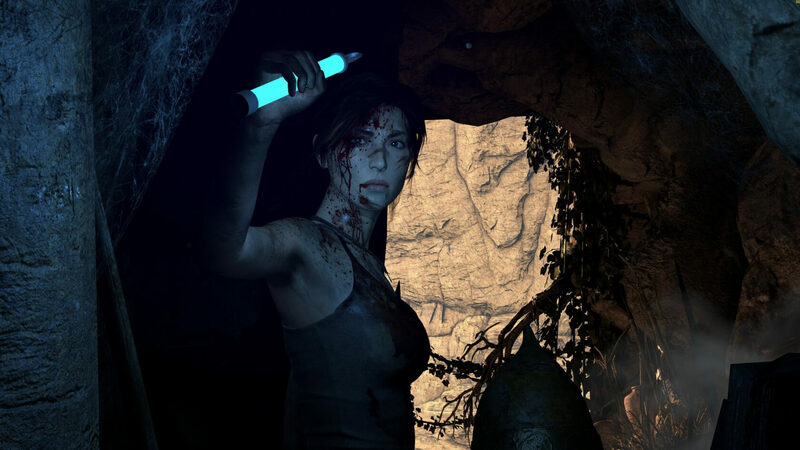 It confirmed what most of us already knew — a new Tomb Raider game is on the way. Last week, Square Enix CEO Yosuke Matsuda confirmed that Eidos Montréal had put a Deus Ex sequel on hold to work on a Tomb Raider followup and a couple other games. Kotaku also reported back in October that a rider on the subway in Montréal snapped a picture of another commuter’s laptop screen. The person appeared to be working on documents related to a game called “Shadow of the Tomb Raider.” The photo is grainy and out of focus, but a separate source confirmed that it was at least the working title of the project. What seems to further confirm the title is Square Enix’s Twitter message itself. At first glance, there doesn’t seem to be anything unusual about it. The text of the tweet reads, “A message to our fans!” Then the message is in the form of an image attachment. This is common on Twitter when someone has something to say that exceeds the character limit. Again, the message itself seems rather ordinary if only a bit cryptic in leaving out when or what this “major event in 2018” will be. However, if you take the first letter of each sentence, the word “SHADOW” is revealed. Couple that with the way the message seems to insist they want to “share” more with us and it’s clear that they were dropping a hint at the name. Sam Prell at GamesRadar was the first to spot the secret message. There is still no date announced, but thanks to the tweet we do know it will be out shortly after one of the trade shows of 2018 — E3, Gamescom, Tokyo Game Show, Gamercon, or Game Design Expo. That narrows it down. My guess is the reveal will occur later in the year at either Paris Games Week (October/November) or the Montreal International Games Summit (December 2018), but E3 (June) is a good possibility too since it is arguably the most “major” of the annual gaming events.